(by Staff Sargent Travis Mills, 82nd Airborne, US Army) – After losing both arms and legs in Afghanistan, I had some very dark moments. At Walter Reed [Army Medical Center], my wife Kelsey and I developed a community of fellow brothers and sisters in arms who had also been injured. This community helped us get through the tough times. We all inspired each other – guys like Bo Reichenbach, Taylor Morris, Cedric King, Andrew Smith and so many others inspired and challenged me to figure out my new normal. After you leave Walter Reed though, you rarely get the opportunity to fellowship with other injured vets. We are building the Maine Chance Veterans Retreat Center so that we can bring this sense of fellowship back as we host injured vets in our fully accessible retreat. We’ve come a long way but still have far to go. Join our movement. At the Travis Mills Foundation, we are honored to support combat-wounded veterans and their families. We do this by developing and maintaining long term programs that help these heroic men and women overcome physical obstacles, strengthen their families, and provide well-deserved relaxation and adaptive recreation. On April 10, 2012, United States Army Staff Sergeant Travis Mills of the 82nd Airborne was critically injured on his third tour of duty in Afghanistan by an IED (improvised explosive device) while on patrol, losing portions of both legs and both arms. 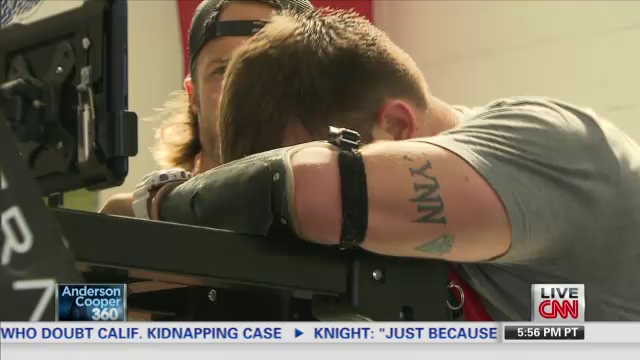 He is one of only five quadruple amputees from the wars in Iraq and Afghanistan to survive such extensive injuries. Thanks to his amazing strength, courage, an incredible will to live, the heroic actions of the men in his unit, the prayers of thousands, and all the healthcare providers at the Walter Reed Army Medical Center, near Washington D.C., Travis continues to overcome the obstacles of living life as a quadruple amputee. During his recovery at Walter Reed Army Medical Center, Travis found a passion for encouraging fellow wounded servicemen and women. While at Walter Reed, Travis consistently toured the facility seeking opportunities to spend time with and encourage fellow wounded soldiers and their families. 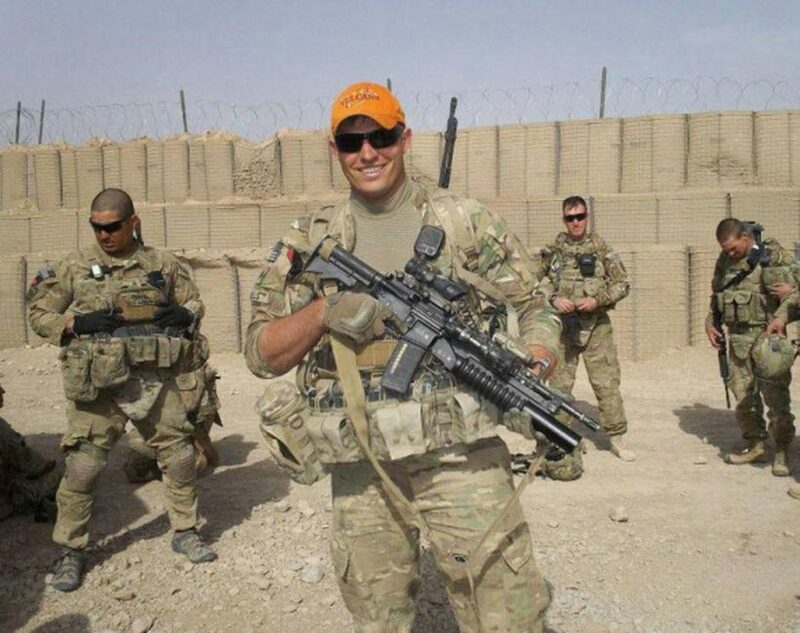 For this service, Travis quickly earned the nickname, the “Mayor,” at Walter Reed. Today, Travis continues to inspire wounded servicemen, women and their families by showing them they can overcome their physical obstacles and emotional challenges and find purpose by staying the course through their recovery. In September 2013, Travis founded the Travis Mills Foundation, a nonprofit organization, formed to benefit and assist wounded and injured veterans. Veteran suicide and divorce are on the rise at alarming rates. More than ever, our veterans and their families need our support. The mission of the Travis Mills Foundation is to offer vital services for combat-wounded veterans and is uniquely positioned to lead the nation in direct veteran assistance, support and healing. Through ongoing fundraising efforts, the foundation is establishing a retreat to help combat wounded veterans and their families unite with the land, water, nature and each other to revitalize themselves and to keep moving forward. The Foundation has purchased a beautiful property in Maine. Through fundraising efforts, we will create a fully accessible facility dedicated to serving the recreational and reintegration needs of combat-wounded veterans and their families. The retreat will be uniquely designed to provide state-of-the-art “smart home” technology in a relaxing lodge setting. It will fill a vital role in the recovery, camaraderie, spousal support, reconnection, and recreational needs of our disabled veteran families. The Travis Mills Foundation enables donors and sponsors…the opportunity to join our mission to benefit and assist wounded and injured veterans and their families. Donations and sponsorships are critical to achieving our mission; accordingly, we are sincerely grateful for every dollar donated to the Travis Mills Foundation. Travis and the guys from Walter Reed Army Medical Center reunite August 2014. During Travisʼs extended healing and rehabilitation from his injuries, Travis challenged himself to find his new normal for his family. 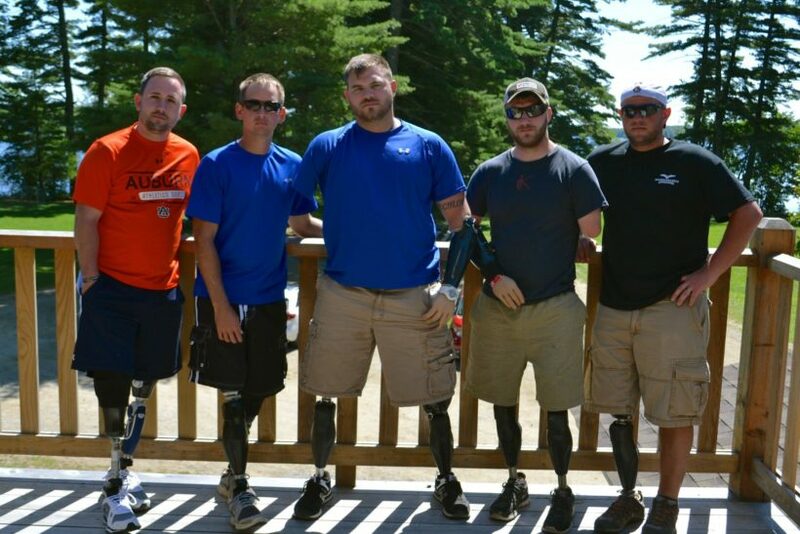 In 2013, a “proof of concept” was successfully realized when four disabled veteran families shared a week of fun and fellowship at a camp in Maine. In 2014, five families were able to experience everything a high quality camp has to offer from fishing to kayaking to time around the campfire together. The incredible success of these camp weeks inspired the Travis Mills Foundation to find a permanent retreat for disabled veteran families so they may enjoy a restful, fun and renewing experience to strengthen their family and community bonds. The TMF retreat, located in Maine, will provide fully accessible facilities dedicated to serving the recreational and reintegration needs of combat-wounded veterans and their families. The retreat will fill a vital role in the recovery, camaraderie, spousal support, reconnection, and relaxation needs of our disabled veteran families. Upon completion of extensive renovations, veteran families from all over the United States will be invited to enjoy swimming, boating, fishing, site-seeing, campfires, adaptive sports, and spa treatments like massage, facials, and yoga. We have a lot of work ahead to fully renovate and rehabilitate the property so keep checking back for updates, pictures and progress. To donate to the Travis Mills Foundation, please click here or go to the Travis Mills gofundme page. 1. The purpose of Veterans Day is to to honor America’s veterans for their service and sacrifice. Veterans Day is observed on November 11. In September 2013, Travis founded the Travis Mills Foundation, a nonprofit organization, formed to benefit and assist wounded and injured veterans. The foundation’s mission is to support combat-wounded veterans and their families. After reading Travis Mills’ story, checking out the websites and watching the video under “Resources,” how does his idea for a fully accessible “smart home” retreat for our combat wounded, disabled veterans and their families inspire you? 2. What two words do you think best describe Travis’ attitude toward his situation and that of his fellow soldiers? Explain your answer. United States Army Staff Sergeant Travis Mills of the 82nd Airborne on his third tour of duty in Afghanistan, was critically injured on April 10th by an IED (improvised explosive device) while on patrol, losing portions of both legs and both arms. He is only the fourth quadruple amputee, from the wars in Iraq and Afghanistan, to survive his injuries. Thanks to his amazing strength, courage, an incredible will to live, the heroic actions of the men in his unit, and the prayers of thousands, Travis has returned to the Walter Reed Army Medical Center, near Washington DC, where he is on the road to recovery. Every day is a battle, but Travis continues to astound friends and family alike with his progress and with his amazing spirit. SSG Travis Mills is a genuine American hero, and for his incredible sacrifice, we are forever in his debt. For more info, go to TravisMills.org.